Jesus tells his followers that the Pharisees and teachers of the Law are the interpreters of the Law so it is right to obey their teaching. However they are hypocrites whose example must not be followed. The teachers love attention and adulation. They love the titles of honour. Followers of Jesus must not chase titles and positions. Rather Christian leaders must firstly be servants. Everyone who raises themselves up will be pulled down, but those who humble themselves will be lifted up. The fact is that nobody is any more exalted than anybody else in God’s Kingdom. Sure some have leadership roles, but that does not make them any more important than the people struggling to keep their life together. To build true community means that we all have to be in it together. Nobody gets to be the boss, at least not in the sense of making burdens for other people to carry. A true leader listens to everyone’s opinion and then sets the direction. We share the mission. We share the burdens. We share the decisions. Thank you Father for the gift of community, a body of followers of Jesus who commit to love you and each other. Please help those of us charged with leadership to always stay humble and focussed on serving you. Amen. For you know that I dealt with each of you as a father deals with his children. Paul worked day and night in order to support himself and not be a burden to anyone while he preached the gospel among them. He was righteous and blameless. He was like a father to the church, encouraging, comforting and exhorting each person to live lives worthy of God’s kingdom. Paul very much gave his heart to the church at Thessalonica. He describes himself like a mother (v. 7) and now like a father to them. We all need spiritual fathers and mothers to help us grow into maturity in Christ. The kingdom is totally relational in character, rather than hierarchical or institutional. Spiritual fathers will give their hearts to us, leading us into places of healing and restoration. We need to give our hearts to our fathers also, loving and encouraging them in return. No matter how far we progress in the life of the Spirit, there will always be people who can teach, mentor and encourage us on the journey. Father, I thank you for the spiritual fathers in my life. Help me to grow and mature under their care, and to reach out to others who might need me ti be a father to them. Amen. To the place of life and joy. The heat of hell burnt my soul. A 14-year-old dressed as a clown has been arrested near Paris for attempting to attack a woman, in the latest incident of fake, evil clowns terrorising passers-by in France. Complaints have poured in recently over “armed clowns” wreaking havoc in various parts of the country. Police have detained several people dressed as the pranksters – some carrying pistols, knives and baseball bats. The bizarre phenomenon has even prompted anti-clown vigilantism, forcing police to try to quell the hysteria by saying there have only been a few sightings of the terrifying clowns. On Monday, a woman who had just got out of her car in Chelles, an eastern suburb 18 kilometres from central Paris, called the police, saying two clowns – one of whom was armed with a fake axe – had attacked her, a source said. They escaped when a passer-by armed with a baseball bat tried to stop them. One of the pranksters was later detained when police spotted him, white make-up still covering his face. In a separate incident just half-an-hour afterwards, a dozen people wearing the smiling, white masks associated with the Anonymous hacktivist collective attacked three youths and stole their mobile phones at a station in Melun, a south-eastern suburb of Paris. The “evil clown” trend previously seen in the United States and Britain only began in the north of France in early October. In the town of Bethune, a 19-year-old received a six-month suspended jail term last week for threatening passers-by while dressed as a clown. The “clowns” have been “mostly spotted outside schools, but also on public roads, in bushes, and in a square. Their targets are often young children or teenagers, but also adults,” a police source in northern France said. It then spread to the south of France. 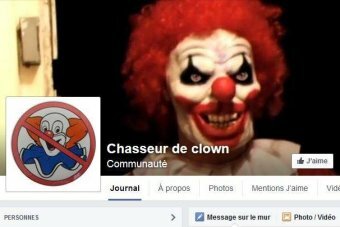 French police released information warning against armed anti-clown vigilantes taking to the streets. “The National Police have received many reports of clowns frightening passers-by, but many are fanciful and the proportion of children,” the police service said on its Facebook page. “Symptomatic of the impact of the internet, this phenomenon can generate harmful individual derivatives and disturbances to public order. “On social networks, groups calling for collective mobilisations against clowns have appeared. Police on Saturday night arrested 14 teenagers dressed as clowns and carrying weapons in the Mediterranean port town of Agde. In the nearby city of Montpellier, a man disguised as a clown was arrested after beating a pedestrian with an iron bar. Theories abound as to the origin of the not-so-funny trend of violence in a country where Halloween has yet to take hold. The suggestions include a challenge launched on social networks, a popular video on YouTube showing a terrifying clown pranking people or even a recent episode of the popular TV series American Horror Story featuring Twisty the killer clown. One of the things that the Lord has been teaching me over a long period of time- like two decades- is that we can totally trust Him for the things that we need. For many years we were not able to draw any salary from the church, but God provided in different ways and we lacked nothing. Since the church has grown over the last few years, there has been more money available but there are still times when things seem to close in. It’s good at those times to really seek the Lord for that need. Last week was one of those times. I could see bills piling up, commitments that needed to be met and a seemingly small income. So I did what I do in these places- I prayed. It seemed that I should pray for an offering of $2500, and I did this at least four mornings. I felt good about it, peaceful that God had answered my prayer. Sunday morning’s offering was $1800 which was good- at the top of what we expect to get. Another $200 from night church and a little from the bookshop took us to $2077 which I banked on Monday. A good result, but $500 short of what I was expecting. This morning as I started to pay the bills I noticed something odd. The balance that I had on my computer was significantly different to the online balance from the credit union. I did a reconciliation and discovered that I had recorded one payment of $500 twice. That was the $500 we were seemingly short. I wonder what I should be praying for this week. The Lord tells Joshua that He is going to cause people to respect Joshua in the same way that they had respected Moses. The plan is that the priests who carry the ark of the covenant are to step into the Jordan, which is in flood, and the Lord will cause the water to stop flowing. As soon as they do this, the Jordan stops flowing. The priests stand on dry ground and the whole nation passes over safely. In some ways this is very much a new take on crossing the Red Sea. Just as Moses needed the Lord to part the waters so the people could pass through to safety, so Joshua needs the Lord to stop a flooding river so they can safely cross. The ark of the covenant is the symbol of the presence of the Lord. It is the Lord’s presence that repels the forces which oppose Israel. We also need the presence of the Lord- the manifest Holy Spirit- to enable us to achieve God’s purposes. Just praying isn’t enough. We have to walk in the reality of God with us, the Holy Spirit directing and empowering us. This can only happen through daily time of fellowshipping with God, surrendering to Him and welcoming His presence. Father teach me how to enter the Holy Place of worship, praise and intercession so that I am able to walk in the confidence of your presence. Amen. The sermon for October 26th 2014 is now available on the New Life web-site. 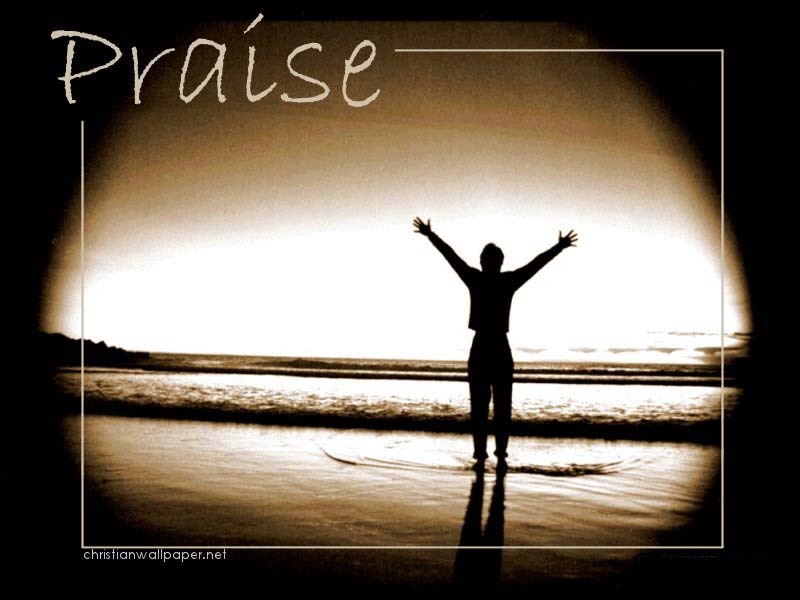 In this sermon, which is based on Psalm 100, Susan talks about the incredible power of praise and worship. Click here to listen, here to download the mp3.